The power to mesmerize is in your eyes. Unlock the secret to iconic, mesmerizing eyes with Charlotte Tilbury's four-shade Luxury Palettes. Housed in a luxurious, rose-gold compact, each palette offers a complete color wardrobe for foolproof "desk-to-disco" eye makeup in a flash. Create head-turning eye looks for work or play in minutes with the Luxury Palette’s Prime, Enhance, Smoke, and Pop shades and easy-to-follow guide. Add depth and dimension to eyes with the cashmere-soft eye shadow formula, which features ultra-fine pigments that blend seamlessly with a long-lasting finish. 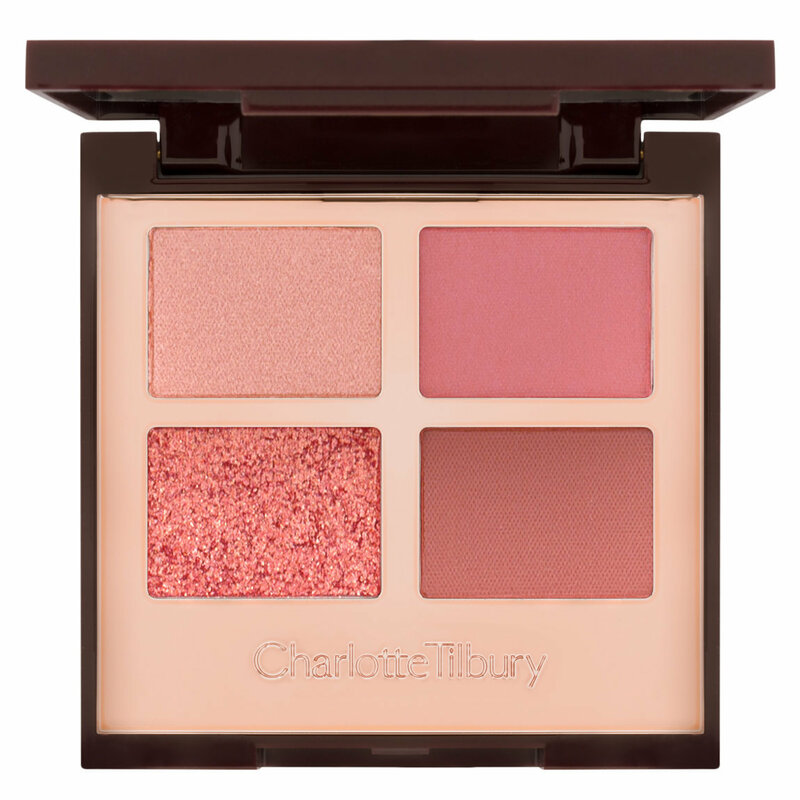 Each Luxury Palette was inspired by one of Charlotte’s signature looks. Expand your makeup wardrobe with The Bombshell, The Rock Chick, The Golden Goddess, and more. Each Luxury Palette is color-coded to take you from Desk to Dusk to Disco with ease. DESK: For a simple day look, apply the Prime shade to the entire eyelid in a back-and-forth motion. Apply Prime to the inner corners of the eyes for a brightening effect. 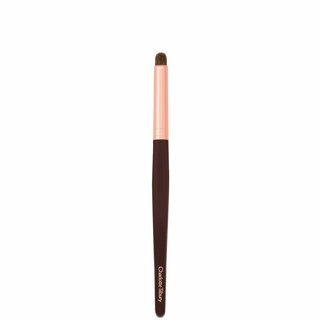 Blend the Enhance shade into the outer corner of the eye socket and along the upper and lower lashline. DUSK: To create a glamorous evening look, follow the steps above. Next, blend the Smoke shade from the outer corner of the eye up and into the socket. Apply Smoke along the upper lashline and up into the socket, creating a half-moon shape. Finish by smudging Smoke along the lower lashline. DISCO: For an amped-up night look, follow the day and evening steps above. With your ring finger, apply the Pop shade to the center of your eyelid. Watch as Charlotte Tilbury uses The Luxury Palette to create three looks for day, evening, and night. I'm in love with this quad. It's perfect for a day time look or a gorgeous rock 'n' roll smoky eyes look. 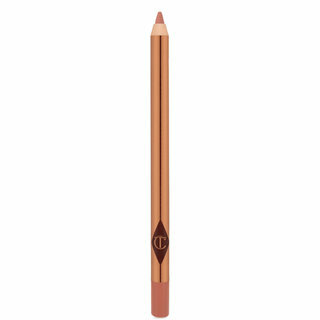 The formula is beautiful, so smooth and pigmented, overall lovely. I think this is a good, but not a perfect, palette, and you should be clear on what you're getting. First off, I wish the palette had included more contrast. Three of the shades are about the same depth, and only one--the prime shade--is significantly lighter; none of the shades are very dark. The "smoke" shade is lovely, but it is really just glitter with very little underlying pigment. I use this like I would a loose glitter, pressing it into a sticky base for some sparkle. It's pretty, but I was not expecting that texture and would have preferred some more base pigment. 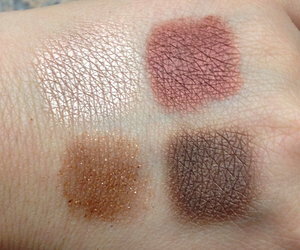 The other three shadows have a lovely texture, and blend well, but are not very rich in pigmentation, and need to be layered to achieve true-to-pan color-payoff. Overall, this palette would be ideal for someone who likes a sheer wash of color, and a little sparkle--and who knows how to work with difficult textures (for the glittery shade). For beginners and/or anyone who wants really bold, intensely pigmented shadows, it's not ideal. The colors are lovely, though. As usual, Charlotte's color combinations are well thought out and look so beautiful and promising in the tins; however from the tin to the skin is where her shadows are somewhat lackluster in my opinion. I purchased the Vintage Vamp palette and was pleased enough with it to shell out another $52 for the Rock Chick palette. This line is dubbed as a 'luxury line;' however, in my opinion, that does not excuse the lack of certain performance fundamentals for the fairly hefty price tag. What exactly makes a high end luxury line worth the extra money? There are a few different factors, but it really comes down to higher quality raw Ingredients....In addition to the pigment that actually imparts the color, all products consist of base ingredients: fillers, fragrances, emollients, moisturizers, minerals, binders, preservatives, sunscreens, and other compounds. Higher end luxe lines use better-quality base ingredients which causes the products to glide on super smoothly, last longer, crease and-or crack less often, and be gentler on skin. They tend to have a higher ratio of pigment to filler, and the pigments used tend to be more finely ground, so the color looks truer and more intense. Let's take a look at Guerlain....If there was ever a textbook luxury line, Guerlain would be it. 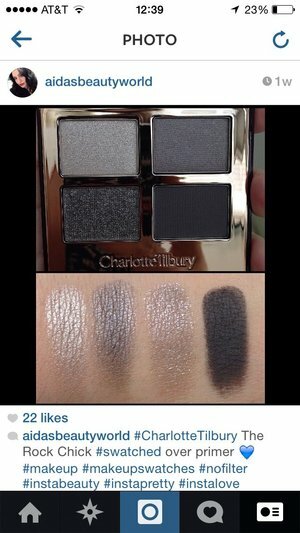 I have Guerlain's Les Gris palette which has some very similar shades to Charlotte's Rock Chick palette. I have attached a photo that has swatches of Charlotte's Rock Chick palette on the far left and 3 shades from Guerlain's Les Gris palette on the far right; they look very similar don't they? So what's the difference.... In order to get Charlotte's shadows to show up in any meaningful way on my skin, I had to make 3 passes from the tin to my skin. How many passes did I have to make with the Guerlain shadows on the far right.... 1, that's right, 1. In my line of work time is money, and when working, I don't like to waste time building up shadows that I shouldn't have to, and unfortunately for me; after this latest round with Charlotte's Rock Chick palette, I will not be purchasing anymore of her shadow palettes in the future. Will I keep this palette in my kit... sure. Why? Because I like the textures and the feel of them, but it's not a palette that I would immediately grab for when looking to do an application within this color range; however, it makes a decent back up palette. I ordered all but the green palette and they may all go back. 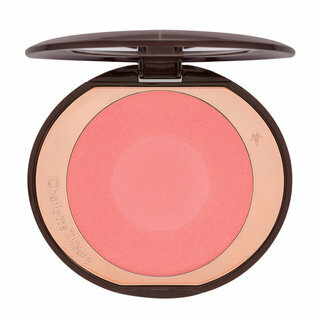 3 of the colors in each quad are lovely and go on smooth, velvety, and blend well. However, the 4th "pop" color just didn't work for me. I used a natural brush at first and after a couple of dips with the brush it got that odd hard film over it and I had to scrape it off. I switched to a synthetic brush and had to really beat on the pan to get color on my brush to finish the second eye. I then used a clean finger like in her video and that did absolutely nothing. For the money, I don't think having 3 usable eyeshadows are worth it. The Dolce Vita palette is an absolute must have in my make-up bag! It is that one palette that is a constant go to. I can always trust that it will look with everything and it can take me from my day to night look in a sweeping of a make-up brush. 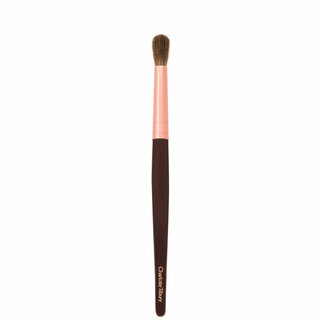 The shadows stay put for hours and the texture is so blendable it makes it so easy to use and to get it right. I can't get enough of it. This is going to turn you into exactly what it claim to - Golden Goddess. I love this consistency and staying power. 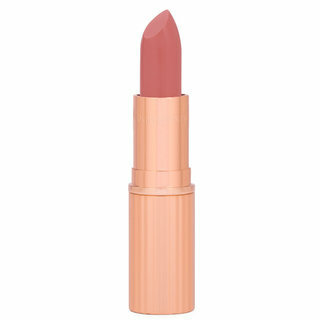 Perfect for day time but if you want to go with bold lips, it will accentuate your eyes in a subtle and beautiful way. It is easy to get addicted to, I absolutely love this palette. Anything in Ms. Tilbury' line is absolutely fantastic. I own 4 eye shadow palettes and love them all. Uptown girl is probably the most universal one that I use when I am not quite sure what I want to wear that day. Consistency is amazing, almost buttery, never falls out or cakes or crease. Looks great with light color eyes and can easily take you from day to night look. 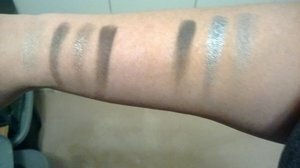 If you are looking to try Ms. Tilbury's eye shadow, I highly recommend Uptown Girl or Golden Goddess. They are all phenomenal. I was able to buy this for $22 with my beautylish lucky "natural" bag gift card plus the $10 off $50 for new customers. If I'm being honest, I wasn't blown away. The hype around these quads is so big that I was expecting life-changing shadows. They were just average. No better than Mac, Urban Decay, MUF... etc. Blendable, pigmented, but nothing outstanding. The packaging (although not cheap feeling) wasn't as luxe as I had thought it was gonna be. Lacked in weight, I'd say. I personally am glad I only paid $22, and I won't be buying anymore unless I can find them discounted. *HOWEVER* I actually do recommend buying at least 1 quad if CT interests you. They may not be life changing, but they are still good shadows. Plus, it's nice to be able to say you own a quad by her! A positive note is that decent, wearable, green shadows are hard to come by... & this quad finally filled my search! If I end up buying another, it's going to be the Vamp quad.